The Maritime Support Services (MSS) centre is a 24/7 facility located at EMSA’s premises in Lisbon. 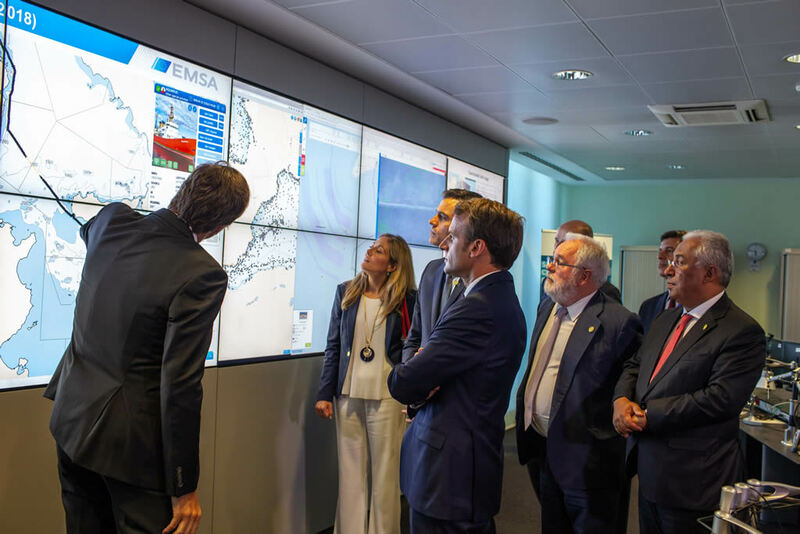 The MSS offers round-the-clock support to ensure two main functions: the smooth running of EMSA’s maritime applications and providing rapid assistance in the event of an emergency at sea. To this end, the MSS is manned by officers with specialist IT skills and maritime knowledge. EMSA hosts a wide range of maritime applications whose performance is monitored in order to limit the risk of downtime. Specific performance targets are set per application, so that when an issue arises it is handled quickly and effectively. A helpdesk is available to respond to calls from users to assist them with operation and access-related matters. It also informs users on any relevant developments such as a new release or programmed maintenance. The MSS coordinates EMSA’s assistance in the event of an accident at sea, whether pollution or safety related. It is the single point of contact at EMSA for Member State authorities and the European Commission. Through the MSS, EMSA provides guidance and operational assistance to help the authorities in charge make informed decisions in time-critical situations. In the event of large-scale pollution, EMSA teams can arrange satellite imagery and on-site pollution response services. When not responding to user calls and emergencies, the MSS is responsible for a whole range of different duties. These include: feedback on EMSA’s vessel reporting services and the quality of data coming from the Member States in their various capacities; the monitoring of ships of interest and other vessel traffic-related requests; and, the issuing of digital certificates to guarantee secure system-to-system communication between EMSA’s stakeholders and our maritime applications.